One thing I have noticed in the last few weeks is that more venues these days are designed to meet event planners’ needs and changing requirements. The newer spaces want to appeal and attract young, energetic people who want to host events in an exciting environment. 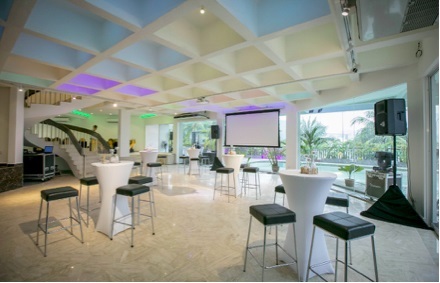 New venues have been learning from exclusive event spaces like Glasshouse at Seputeh adding features and amenities to provide planners with the whole package. Glasshouse is a bungalow designed to host events which feature high ceilings, floor to ceiling glass panelling, an indoor garden and provides a rustic feel with its brick walls. Adding to the list of bungalows which double up as event venues are two brand new bungalows of different sizes which will soon be open to host events. These bungalows’ sophisticated interiors and exteriors will definitely impress you and an event at any of these bungalows will surely give your guests something to talk about. L’motichan is an eclectic double storey bungalow in the enclave of Bangsar which features an indoor area, an outdoor pool side, the Loft, as well as its large space that is designed to entertain. The entire look and feel combines raw mortar and bricks against lush foliage and water features. Opening soon in August, L’motichan’s spacious layout provides the flexibility for event planners to incorporate any theme with very little decoration needed for up to 400 pax. L’motichan strikes a classy figure in vibrant Bangsar. Event planners will have the choice of hosting their guests indoors, outdoors or both, where the main event hall overlooks the swimming pool which acts as a stunning natural backdrop. Apart from its versatile layout which allows myriad choices of layouts, L’motichan boasts many things which include its numerous Instagram-worthy corners and overgrown gardens. L’motichan features an outdoor swimming pool complete with rain curtains and a dedicated area for caterers to cook up a feast on the spot. The Loft, on the top floor, is a complete floor encompassing 7 bedrooms with ensuite bathrooms ideal for break out sessions, training events, or a place to put up for the night. This floor can accommodate up to 40 pax comfortably and will soon have its own private recreational area which comes with a heated salt water and jacuzzi. Spacious interiors are ideal for events. L’motichan is ideal for a range of events including weddings, ROM ceremonies, engagement parties, and private parties. 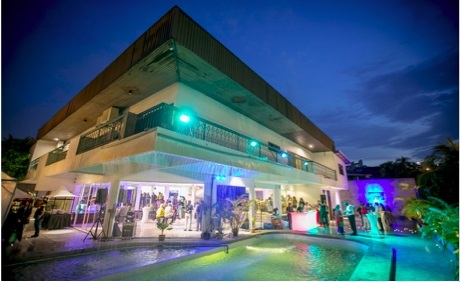 This bungalow also caters for corporate events including cocktail parties, annual dinners, product launches and team building and training events. L’motichan is also fully wheelchair accessible and comes with disabled-friendly toilets. I had the pleasure of attending The Diplomat KL’s launch a few weeks ago and this grand mansion with a build up of 30,500 square feet offer attractive spaces within which include its outdoor garden complete with a swimming pool and a pyramid poolside bar, many different areas to entertain guests on the ground floor with different seating styles and arrangements, and a karaoke lounge. This exclusive event space is sure to provide you and your guests with a luxurious experience with its facilities which include a panel of dedicated caterers, buggy pick-up/drop-off service and traffic control. The outdoor garden can seat up to 300 pax comfortably with an additional 100 pax indoors. Furthermore, the large driveway can also be utilised for events. All in all, The Diplomat KL can accommodate events up to 800 pax. The Diplomat KL located along Perkarangan Tun Ismail is set within lush greenery and boasts a picturesque view. This palatial estate is ideal for hosting events and will wow event guests with its breath taking views of its sunset strip as a backdrop and offers complete privacy as it is located in a cul-de-sac, providing complete seclusion offering tranquility. This bungalow is open to hosting events and coming soon in October, there will be an exciting addition to The Diplomat KL. The Diplomat KL is especially beautiful for garden weddings, annual dinners, private parties and gatherings as well as corporate events. These venues will definitely appeal to couples who are increasingly drawn to unique venues which offer grand views, exclusivity and one heck of an experience. At the same time, companies and businesses who are looking for a space to impress clients and guests could do so at L’motichan and The Diplomat KL. Both L’motichan and The Diplomat KL are also ideal for hosting corporate retreats for up to 40 to 50 pax. 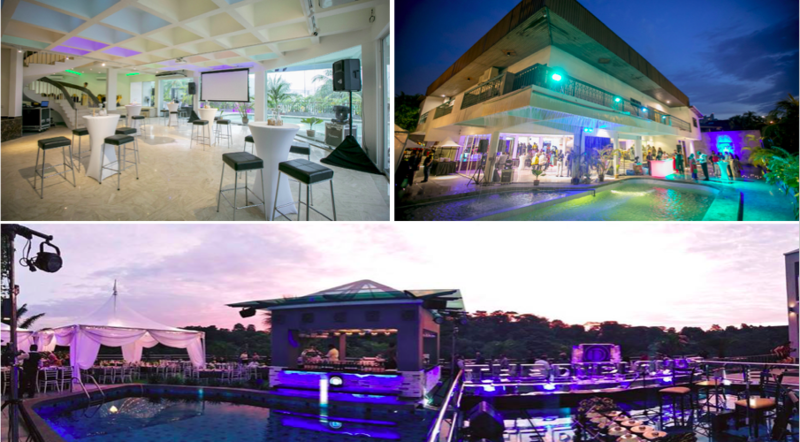 These venues are an inspiration for people to host their events in its beautiful environment for special events and is definitely an alternative to the usual event venues and hotel ballrooms.